The American Welding Society recently notified Eastern Wyoming College that they have reached the Silver Corporate Member Milestone. AWS honors companies for continued loyalty and support. EWC has been a member since 1992. The college received a Silver Member Certificate in honor and appreciation for twenty-five years of membership. This notable milestone will be listed in the December 2017 issue of Welding Journal. For more information about the welding program at EWC, contact the college at 307.532.8200. Eastern Wyoming College will soon be accepting applications for the fall 2018 semester for the Associate Degree in Nursing program which is offered at the Douglas Campus. The application process will open on January 3, 2018 and will close at midnight on February 20, 2018. All application materials are available online and must be submitted electronically. No paper applications will be accepted. Complete the EWC Nursing Application online when open, January 3, 2018 – February 20, 2018. Complete the Application Checklist as well. All applicants must take the TEAS Test (Nursing Entrance Exam) and have test scores sent to Eastern Wyoming. This can be done by choosing Eastern Wyoming College on the drop-down menu when taking the test. The TEAS Test will be offered on the Douglas Campus on Wednesday, January 3, 2018, 1 pm; Thursday, January 4, 2018, 5:30 pm; and Saturday, January 6, 2018, 1 pm. The TEAS Test will be offered on the Torrington Campus on Wednesday, January 3, 2018, 1 pm; Thursday, January 4, 2018, 5:30 pm; and Saturday, January 20, 2018, 9 am. Due to the weather, the Douglas Campus of Eastern Wyoming College will be closed today, Thursday, December 21, 2017. Eastern Wyoming College will close at 12:00 pm on December 21 and will be closed through January 1, 2018. The Fitness Center will be closed December 23rd – 25th and December 30-January 1, 2018. Fitness Center patrons should check the Fitness Center holiday hours. College offices will reopen Tuesday, January 2nd. 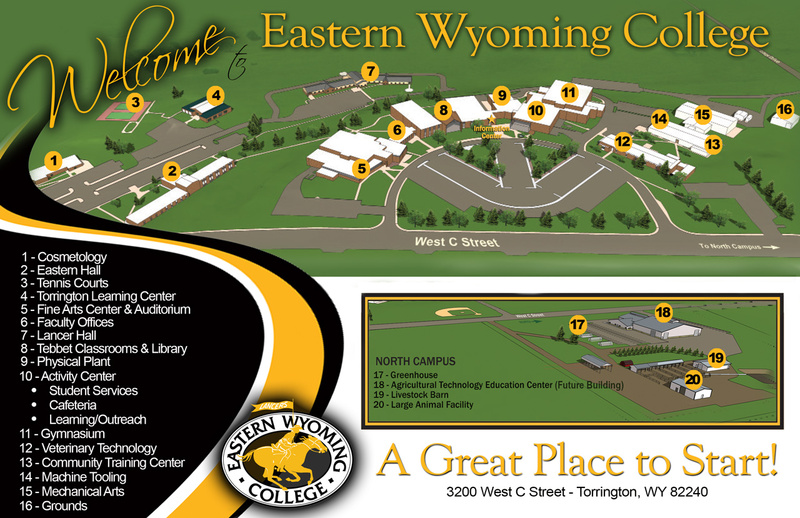 Eastern Wyoming College has announced a new and improved way for students to obtain transcripts. EWC is pleased to have entered into an agreement with the National Student Clearinghouse. Beginning on Tuesday, January 16, 2018, the EWC Records Office will no longer be sending paper transcripts of student’s grades to transferring colleges and universities, potential employers, and others. The new agreement with the National Student Clearinghouse will allow for the issuance of transcripts electronically which will decrease the time necessary for sending and receiving transcripts. The cost of this new service will be $7.25 per transcript which will be paid to the Clearinghouse. Students can access the National Student Clearinghouse directly for transcripts or they may use the transcript link on the EWC website at ewc.wy.edu. With this change, EWC joins all of the other Wyoming Community Colleges in issuing electronic transcripts. When ordering transcripts from the Clearinghouse, students will have the option on sending and/or receiving them electronically, in paper format or the pick them up at the EWC Records Office on the main campus in Torrington. Founded in 1993 by the higher education community, the National Student Clearinghouse® relieves the administrative burdens and costs related to student data reporting and exchange. They are a nonprofit and nongovernmental organization and a leading provider of educational reporting, data exchange, verification, and research services. The services they offer have been provided at the request of the participating institutions to enable them to better serve their students. The Clearinghouse’s work — performed in a trusted, secure and private environment — provides numerous time- and cost-saving benefits to students, schools, administrators, and requestors. Through their research arm, the National Student Clearinghouse® Research Center™, a 501(c)(3) nonprofit organization, we provide educators and policymakers with accurate longitudinal data on student outcomes to enable informed decision making. So if you haven’t seen the trees in our buildings all over campus, you have to take a walk and see them all. Even the maintenance guys put up a tree! Please go see them! Christmas spirit is thriving on our campus! Thanks to everyone who participated. Eastern Wyoming College President, Dr. Lesley Travers, has announced the Community Roundtable which will be held on Thursday, December 14th, from 12 – 1 pm in the CTEC conference room. Community members or any person who is interested is invited to attend the open Community Roundtable. Dr. Travers will provide any information of interest about the college, will answer any questions and address any concerns. She will host a Community Roundtable each month. Attendees are invited to bring their own brown bag lunch if they would like.